Arriving early evening at the Jazz Café the place was unusually busy. Not the usual lot, more like rugger types. Good for business! Upstairs, the lads – the Early Birds – set up ready for their hour long performance. Following a slight delay due to a malfunctioning amp, the set list included Coltrane, Hancock, Kern and Rollins. A band of teenagers, an expanding book of engagements, these guys are heading in the right direction. Good to see tenor man Nick Caughey back on the stand, impressing on Watermelon Man. Kern’s Yesterdays, a taxing tune for senior players, challenged the young musicians. The quintet (plus one) persevered, reading the dots and got there in the end. 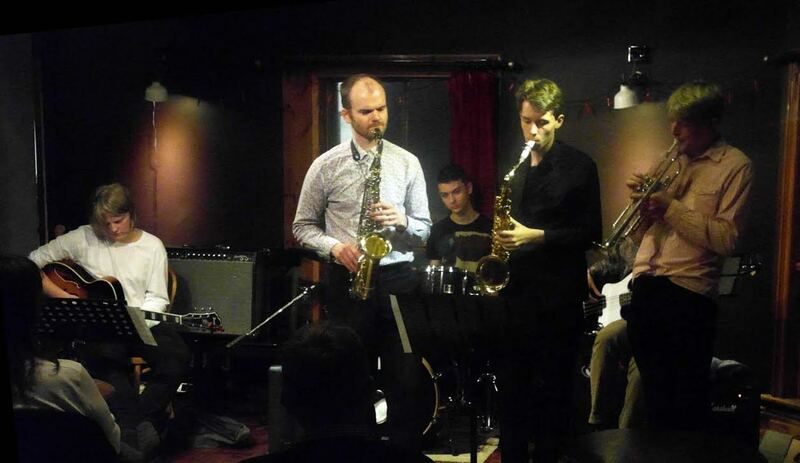 Blue Bossa didn’t hold any fears for drummer Matthew Mackellar having played it more than once at Dave Weisser’s Wednesday night workshop at the Chillingham. Mackellar knew what he was doing and his bass drum work caught the ear. Oleo, another Weisser workshop staple, featured guitarist Francis Tulip. He was right on it with bass (Dan Lawrence) and drums in support. The horns stepped up (trumpeter Ben Lawrence in the spotlight) and Mackellar breezed through a round of fours. Two fabulous tunes back to back tested the ensemble; I’m Old Fashioned and How Insensitive. 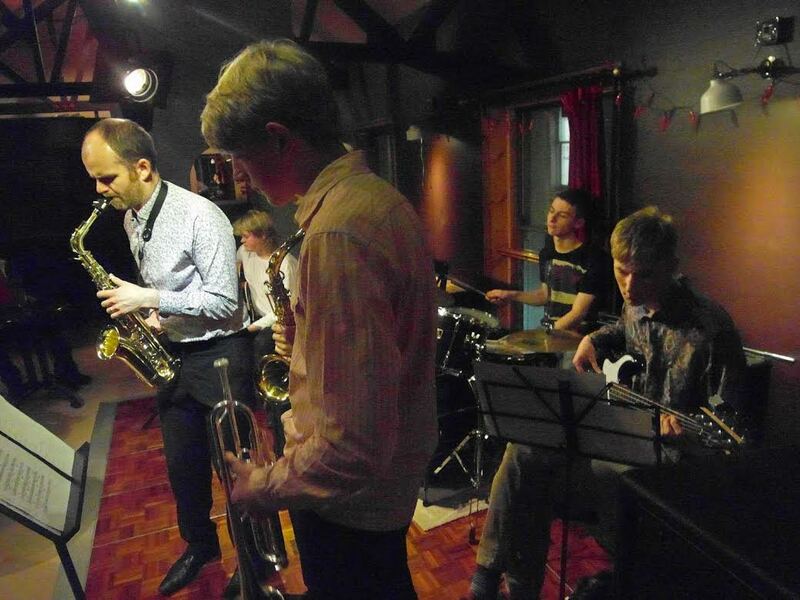 Swing and sensitivity are rare commodities and the way these young men are going about their business they’ll get there, probably sooner than one imagines and the ‘plus one,’ co-opted band member, tutor Paul Edis, took a turn on alto. Chameleon was a fun way to go out. A round and round and round again groove had all in the groove, fluent guitar, riffing horns, with bass and drums nailing it. A developing band, check out the Early Bird Band.